Emilio Estevez Bio, Net Worth, Wife & Family, Is He Related To Charlie Sheen? Emilio Estevez Bio, Net Worth, Wife, Family, Is He Related To Charlie Sheen? Emilio Estevez is popular in the movie industry for both his acting and directing stints. He is also a writer who has to his name, many amazing works. The actor is known for his roles in movies like The Outsiders, Repo Man, The Mighty Ducks, and many others. He is a member of the Brat Pack group which also includes actors like Andrew McCarthy, Rob Lowe, and Demi Moore. Here is everything you need to now about the actor and director. He was born on May 12, 1962, in Staten Island, New York to his parents Janet Sheen (mother) and Martin Sheen (father). He got the name Estevez from his father’s legal name, Ramon Estevez. It must have been a matter of heredity for the actor who had strong roots in showbiz; a renowned actor for a father and an artist for a mother as well as siblings in the business. Estevez attended the New York Public School but later changed after his family relocated due to his father’s demanding career. He had his first experience with acting when he made an appearance in a short film Meet Mr. Bomb produced at his school. Estevez’s inclination to the performing arts started even before his high school days. He dumped college after high school to pursue a career in acting. Emilio made his debut in a theatrical production of Mister Roberts which also featured his father. He subsequently starred alongside his father in the film In the Custody of Strangers. In the 80s, he became a member of a group of young actors known as Brat Pack who often appeared in teen movies. Some of his Brat Pack movies include The Breakfast Club, St. Elmo’s Fire and many more. He had a collaboration with Tom Cruise in 1985 which saw to the production of the movie That was Then This is Now which did not do so well commercially. Estevez became the youngest star to write and direct a film following his directorial debut Wisdom which he also starred in. His next big appearance was in the hit movie Young Guns. The talented actor released his first comic film titled Men at Work which he not only wrote and directed but also starred in. His next big shot was in The Mighty Ducks where he played the character of Coach Gordon Bombay. The movie surprisingly became a massive hit and recorded great commercial success. The actor appeared in three television films between 1998 and 1999. They were The Spaghetti Western Dollar for the Dead, the comedy Late Last Night, and Rated X.
Emilio, in recent times, does more directing and writing. He directed The Way which was released in 2010. The Public, a feature film was released in 2018. The movie which he starred in also had actors like Alec Baldwin, Christian Slater, and Jena Malone. 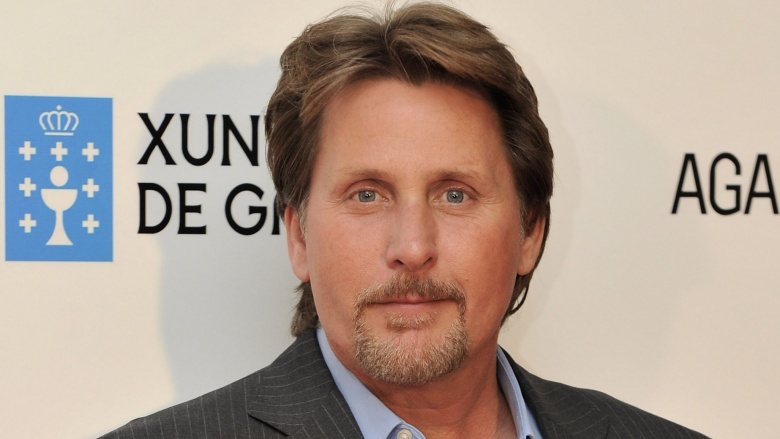 Emilio Estevez sits on a net worth estimated at $18 million. The actor, writer, and director has garnered a lot of money and recognition over the years of his career. He makes his fortune from the various movies he has starred in as well as his directorial stints. Family, Wife, Is He Related To Charlie Sheen? Emilio was born into a family of entertainers. Apart from his artist mother and actor father, the talented actor has three siblings Ramon Estevez, Charlie Sheen (born Carlos Estévez), and Renée Estevez – all known names in the creative arts industry. Ramon Sheen is an actor and director and also runs Estevez Sheen Productions. Questions have been raised among fans regarding the relationship between Emilio Estevez and popular actor Charlie Sheen. To state clearly the facts, Emilio and Charlie are in fact brothers from the same father and mother. Emilio did not adopt his father’s stage name ‘Sheen’ but opted to hold on to his legal last name Estevez. Charlie Sheen starred as one of the lead characters in the CBS sitcom Two and a Half Men which also guest starred Emilio and his father Martin Sheen in a few episodes. Estevez’s third sibling Renee Estevez is an actress and a writer. Estevez was once married to singer and choreographer Paula Abdul. The two tied the knot in April 1992 but split two years later in 1994. Reports pertaining to their divorce revealed that it happened as a result of Estevez’s refusal to have kids; as he already had two, as against Abdul’s wish to have her own children. Before Paula Abdul, the actor was in a relationship with Carey Salley, a model. They had two kids together; Taylor Estevez, a son and Paloma Estevez, before their break-up in 1986.